Regular readers will know that Wiss has now finished nursery ahead of him starting school in September, and that I am officially on Maternity Leave for a year. Yay! I've been really looking forward to spending time with my little man, especially before the baby comes, but being 8 and 1/2 months pregnant does mean I have had to plan a little more 'at home' time than usual. We were really lucky to be sent a Weekend Box, which is full of activities for kids. The Weekend Gang is made up of four characters who each have their own speciality: Wooster the Rabbit likes to get creative in the kitchen, Hattie the Hedgehog likes getting her hands dirty in the garden, Sammy the Squirrel likes arts and crafts while Oswald the Owl loves to read. Every box has four envelopes containing the things you will need and full instructions for each task, plus stickers for once you've completed it. Wiss really liked the different characters and getting to choose which project to do first. 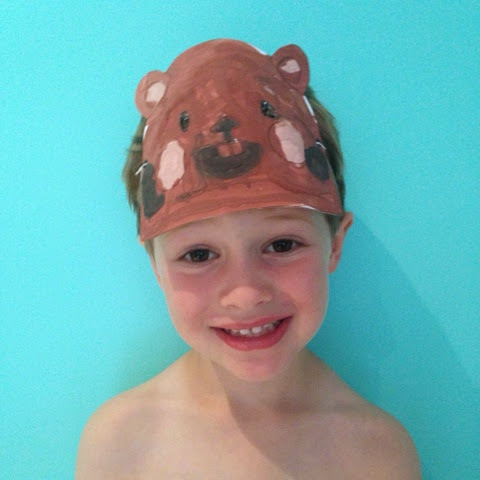 There was a Sammy Squirrel face mask to make, including powder paints to mix up. 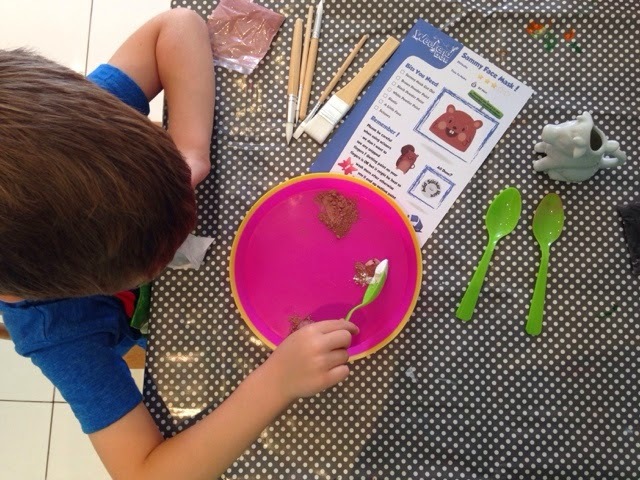 I have to say, I was tempted to use our ready-mixed paints but this was actually the bit that Wiss enjoyed the most, and while he mixed the paints we talked about what colours would be made by adding black or white, and how paint was originally made. 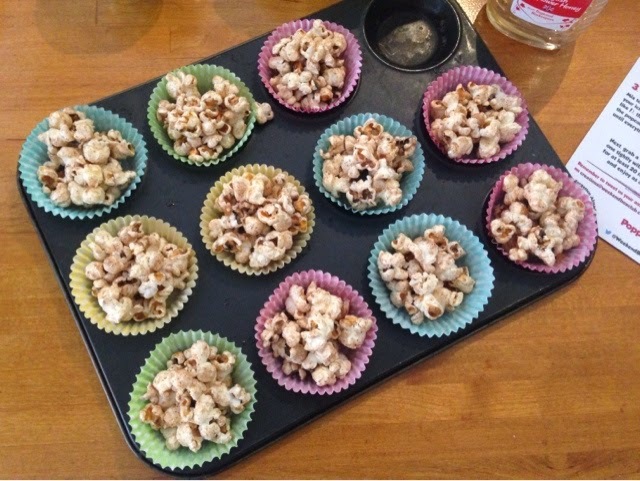 We also made Popcorn Cupcakes with Wooster's envelope which contained the special ingredients and recipe (a few store cupboard extras were needed but this was no problem.) 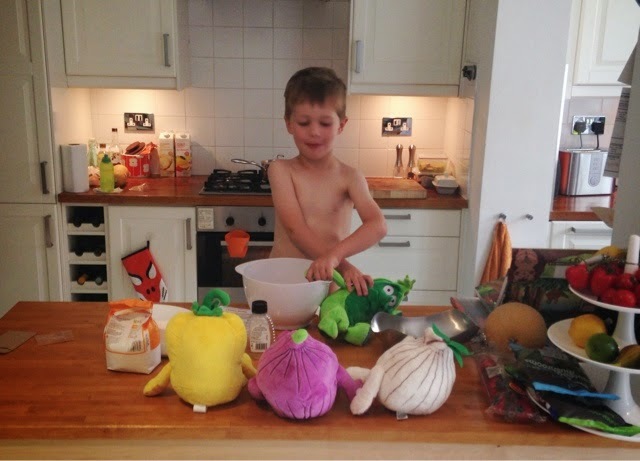 Wiss decided that he needed an audience to help him make the cakes, as you can see! The only cooking required was to make the popcorn itself, but apart from that Wiss made them by himself. And ate most of them himself too! Our other activities were to make a board game (dice and counters included in the box) and to plants some seeds using expanding compost disks! Once all the projects have been completed there is a certificate on the bottom of the box to be coloured in. Although the boxes may look quite small initially there was definitely enough to keep Wiss entertained across a few days (or weekends), and all the activities were open-ended enough to lead on to further questions or spark his imagination to try something different. The boxes are aimed at 4-6 year olds, and can be delivered in the post fortnightly or monthly, with each box costing £7.50. 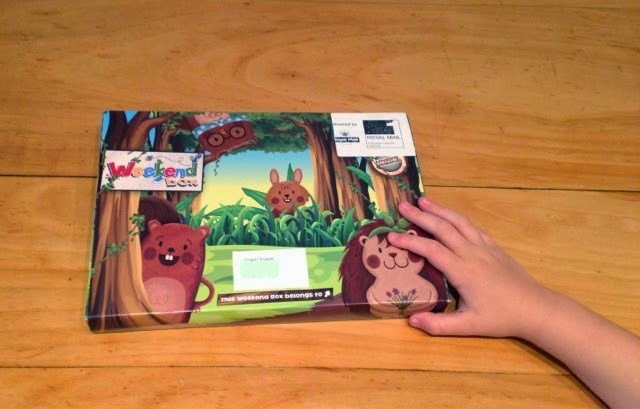 We thought our box was really good fun, and would make a great present idea. Disclosure: We were sent our Weekend Box for free but all opinions are my own.